Hey everyone! Hope you all are doing fine. I’m back here at TheAnimeScrolls with another spoiler post about Boruto: Naruto Next Generations. This post is about Boruto Naruto Next Generations Episode 58. This post is full of spoilers so whoever does not like to read spoilers please stay away from this post. So, before moving on to the spoilers of Boruto Next Generations Episode 58 let me give you a brief recap of what has happened in the past. Boruto Anime is improving day by day and has shown vast improvements from the last month. Well, we cannot expect it to be at the level of Naruto quite as yet but I think it will get there sooner or later. Last episode was very good and now the final round of the Chunin exams has finally started. First we saw three on three matches where one team had to steal the flag of the other while defending their own. Boruto’s Team 7 barely made it, and Boruto had to resort to cheating to achieve this. And from now on we are going to see one on one battles. 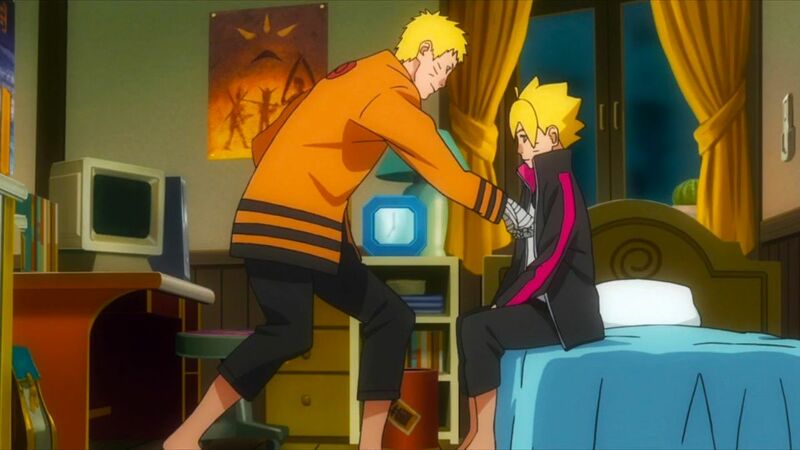 Now, coming to Boruto Next Generations Episode 58 spoilers. We saw Boruto Uzumaki fight against Yurui. Yurui seemed to me pretty powerful. He was able to to corner Boruto Uzumaki but unfortunately for him was defeated in an unfair way as Boruto Uzumaki resorted to cheating. Also, in my opinion Yurui didn’t even use his maximum strength. Now, moving on to the fights of Sarada who quite impressively was able to defeat her opponent inside 3 freaking seconds which is awesome. The episode was good overall but the pacing for me is a bit too fast as even though anime is far behind than manga but the pacing of manga is heartbreakingly slow. In the next episode the final round of the Chuunin exams is going to start. We will see Boruto Uzumaki go up against his dear best friend Shikadai Nara. And as we all have watched the movie we all know that Boruto Uzumaki is again going to cheat when he fights against Shikadai Nara. And then Boruto Uzumaki will be disqualified from Chinin exams by Naruto Uzumaki. The exams will continue after Boruto’s disqualification. We’ll get to see Hidden Leaf be Hidden Sand in episode 60, and Episode 61 will focus on Mitsuki vs Shinki. I’m eagerly waiting for the upcoming Boruto episode 58. That is it from today’s post on spoilers Boruto Next Generations Episode 58. 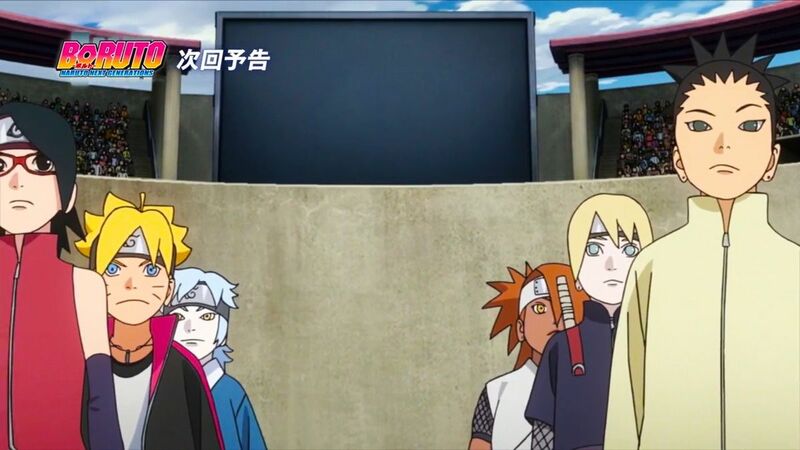 Where to watch Watch Boruto Naruto Next Generations Episode 58? You cannot download Boruto Naruto Next Generations Episode 58 anywhere online, but you can watch it with English subtitles on Crunchyroll, or FUNimation. Are you excited about Boruto Naruto Next Generations Episode 58 or not? Tahir Khan is the writer of “Boruto Next Generations Episode 58 Spoilers”. Connect with him on Social Media. In Boruto Next Generations Episode 58, Boruto Uzumaki fights against Yurui. Yurui seemed to me pretty powerful. He was able to to corner Boruto Uzumaki but unfortunately for him was defeated in an unfair way.